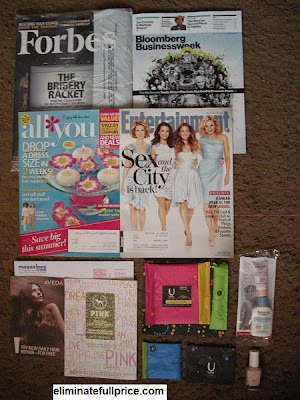 Eliminate Full Price: Mailbox Monday 5/17/10 - Magazines, Pads, Nail Polish, & Coupons! 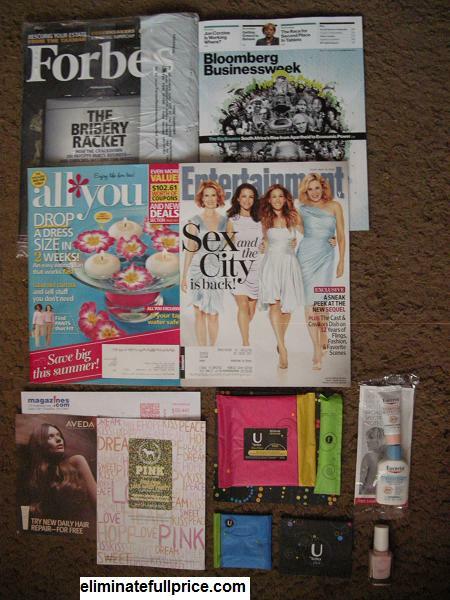 Mailbox Monday 5/17/10 - Magazines, Pads, Nail Polish, & Coupons! I can't wait to use my aveda coupon. I love their stuff! Great haul this week! I love to get the All You magazine! I don't request a lot of lotion samples because they're usually in those packets, but the Eucerin samples are nice! Looks like you had a good week! Nice job! That's a whole lotta freebies!